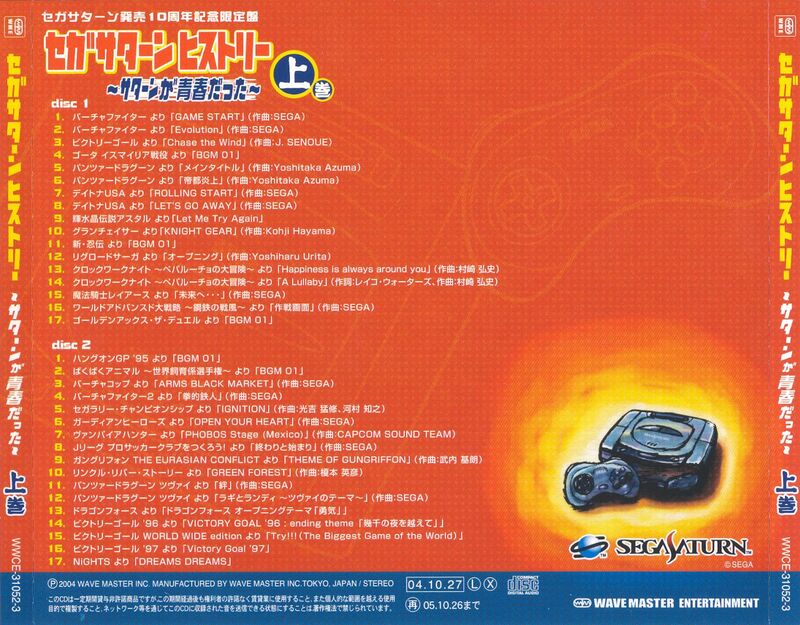 Sega Saturn History: Saturn ga Seishundatta Joukan (セガサターン　ヒストリー～サターンが青春だった～上巻) is the first of two Sega Saturn History albums containing music from various Sega Saturn games. From: J.League Pro Soccer Club o Tsukurou! EN: Dragon Force Opening Theme "Bravery"
EN: Victory Goal '96: Ending Theme "Overcoming a Thousand Nights"